Daron’s Guitar Chronicles is continuing its summer of fanworks, and I’m easily led, so when someone asked me to draw Colin I couldn’t resist giving him a rock star on each arm. 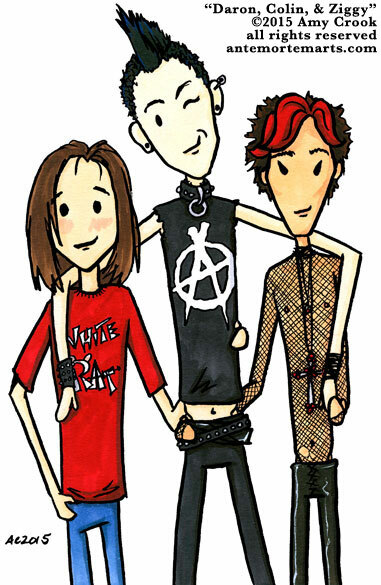 I love how this really shows how short Daron and Ziggy are, but my favorite detail is the little hole in Ziggy’s fishnet shirt, though Daron’s adorable blush is a close second. 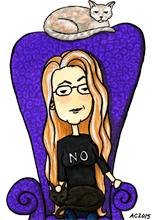 The original should show up in the Floating Gallery soon, or you can get these cuties on a card in my Etsy shop. 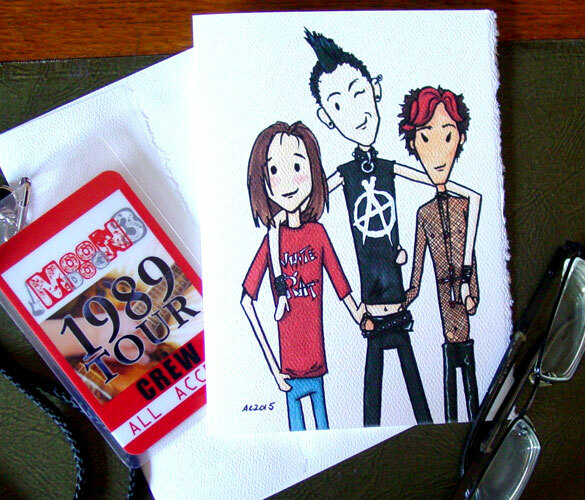 Daron, Colin, and Ziggy, 5″x7″ pen and ink and Copic marker.